Mr. Dhaval Vussonji is a practising Advocate and Solicitor. Mr. Vussonji is qualified as a Bachelor of Commerce and a Chartered Accountant. Mr. Vussonji enjoys a reputation for being an astute lawyer with 15 years of diverse and rich experience. Mr. Dhaval Vussonji is the founder of the young and fast expanding firm Dhaval Vussonji & Associates. Under his leadership and active tutelage, the Firm has gained rapid recognition for its solution oriented approach in diverse areas of practice including Banking & Finance, Capital Markets, Corporate Advisory, Mergers & Acquisitions and Real Estate laws. 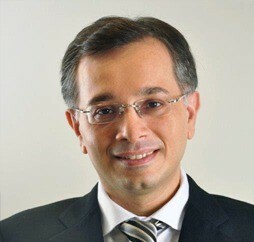 Described as a “sound, very hands-on lawyer who understands the issues”, Mr. Vussonji is also consistently titled as a “Leading Lawyer” by well recognised legal publications, for the APAC region. Mr. Vussonji extensively practices in the areas of Real Estate, Corporate Debt Restructuring, EPC Contracts, Hotel Management Contracts, International Commercial Arbitration, Litigation and Arbitration, Private Equity Investments and Maritime Laws. In the course of advising clients on real estate matters, Mr. Vussonji regularly deals with several issues relating to land titles, acquisition of lands, development of such lands, sale of premises constructed on the lands, leasing of premises of such lands, construction of malls, leasing of premises in malls and construction of hotels. He advises transactions involving foreign direct equity investment in completed and under construction real estate projects in India. He has advised structuring of apartment funds, formulating of 80:20 schemes, compliant with RBI norms and setting up of businesses for Non Banking Financial companies. He has been a pioneer, having advised one of the first foreign direct investments in a real estate commercial project under the foreign direct investment regime. He also advised the Pudumjee group on a three way de-merger involving two listed companies and listing of the resulting company without a public offer. He was the sole legal advisor to Bharati Shipyard Limited in the course of takeover of Great Offshore Limited (a listed Company), which was one of the most contested takeovers in the Indian securities market. He was also the exclusive legal advisor to Ess Dee Aluminium Limited in the course of takeover of India Foils (being a listed company) during the erstwhile BIFR regime. Being an expert, Mr. Vussonji is often invited to contribute on topical issues by various legal and accounting publications. 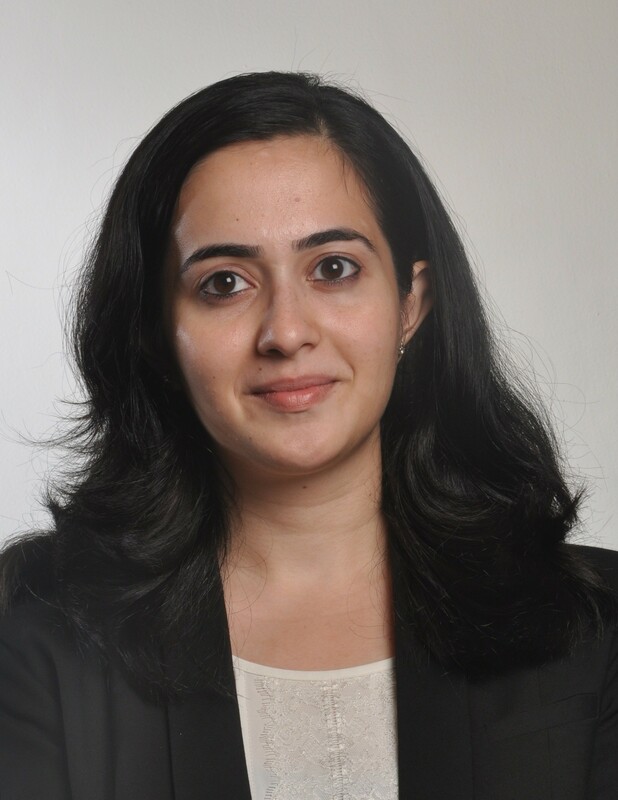 Ms. Prachi Dave is qualified as an Advocate and Solicitor practicing on the original side of the Bombay High Court and is a Partner of Dhaval Vussonji & Associates, Advocates and Solicitors. She advises clients with respect to their in-bound as well as out-bound investments. In this process, Ms. Dave critically analyses feasible and tax efficient structures keeping in mind the unique deal contours, appropriate and adequate security creation where required and maintaining in balance the flexibility for the day to day operation of the investee companies. Bearing in mind the limited capital account convertibility in India, Ms. Dave has from time to time advised on the various aspects for listing of instruments on the stock exchanges within India, exiting such investments, matters relating to foreign exchange, nuances of corporate laws and taxation. Ms. Dave has also been involved in advising multinationals in the entry strategy into India in various fields including financial services, manufacturing, trading, as well as restaurants. In the course of advising clients in this relation, Ms. Dave has, along with advising on applicable foreign investment laws, evaluated other corporate, taxation and sectoral regulations which regulate investment within India. Her deep understanding of the banking and financial services sector and the money lending laws across the different parts of India and the prevalent regional market practices is well respected by leading financial institutions and borrowers alike. Ms. Dave has acted as Indian counsel to offshore lenders and institutions in various external commercial borrowings to corporate borrowers within India. She has advised various multinationals including offshore branches of investment banks in private banking, wealth management, investment advisory, cross border banking, syndicated lending and structured finance transactions both within India as well from overseas. Ms. Dave has also been involved in advising for various capital market transactions such as initial public offering, buy back issues, FCCB issues, open offer for takeover and other related matters. She advises acquisitions of land and properties in various parts of India including Maharashtra, Andhra Pradesh and Delhi. In the course of the transactions, she assesses the legal title to the property, the development potential and feasibility, the saleability of the premises and leasing/licensing of the commercial and residential premises keeping in mind diverse laws and customs applicable in different parts of India. Ms. Minal D. Sampat is a qualified Advocate and Solicitor with experience of over 14 years in the field of real estate and conveyancing. She completed her graduation in Commerce (B.Com.) from Narsee Monjee College of Commerce and Economics (Vile Parle, Mumbai) in the year 1999. Thereafter, in 2002, she gained her post-graduation degree in law (LL.B.) from Government Law College, Churchgate, Mumbai followed by a Masters’ Degree in Property Laws (LL.M.) in 2004 from the University of Mumbai. She has also cleared the Solicitor’s exam conducted by the Bombay Incorporated Law Society. Ms. Sampat is enrolled as a member of the Bar Council of Maharashtra and Goa and of the Bombay Incorporated Law Society. The gamut of her work experience ranges from advising, structuring and drafting documents involving any form of disposition of property whether by way of sale, purchase, lease, license, gift, release, tenancy and general commercial contracts. Ms. Sampat has independently handled complex transactions like development agreements, joint development agreements, society redevelopment agreements, share purchase agreements and partition documents to name a few. As an integral part of law practice, her expertise also lies in analysis of stamp duty and registration laws and advising on suitable form of documentation. Ms. Sampat is well versed with the process of conducting title investigation and drafting and issuing title certificates. Ms. Sampat has independently advised on conveyancing and commercial contracts of leading real estate developers, business houses, HNIs and banks. Ms. Sampat is associated with Dhaval Vussonji & Associates, since July, 2015 as Of-Counsel and is now a Partner of the Firm. Prior to this, she was a Partner of Messrs Kanga and Company, Advocates and Solicitors till April 2013 and thereafter till June, 2015 she had an independent practice. 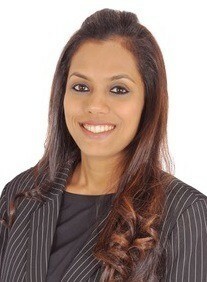 Currently, Ms. Sampat heads the real estate practice of the Firm. 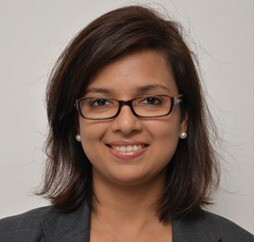 Ms. Manisha Paranjape is one of the first members of the firm. She worked with Ms. Kanga & Co. before joining the Firm. She leads one of our banking & finance teams as well as one of the real estate teams at the Firm. Manisha is an established expert, with a sharp mind who passionately drives her teams, to ensure that clients see success. Ms. Paranjape has close to a decade of experience in advising banks, NBFCs and borrowers in concluding loan transactions involving term lending, consortium lending, issuance of debt securities, apartment funding. Ms. Paranjape also provides an in-depth perspective on a wide-range of corporate practice to her clients that include general advisory, joint ventures and compliance with foreign exchange laws amongst others. She has authored articles on various aspects of newer legislations in India from time to time, be it RERA or the Insolvency & Bankruptcy laws. She believes in keeping herself acquainted and informed in laws that impact her clients’ businesses. Ms. Sonam Mhatre spearheads the litigation team of the Firm and has a wealth of experience in successfully handling civil and commercial disputes as well as arbitration matters. She is also widely known for arguing matters before the Real Estate Regulatory Authority and also specialises in representing clients for sanction of amalgamation (including mergers and de-mergers) schemes. With close to a decade of experience in dispute resolution matters, she has garnered a reputation for creating innovative and practical approaches for resolution of commercial disputes specially in the areas of company laws, real estate, consumer, environment and family laws. 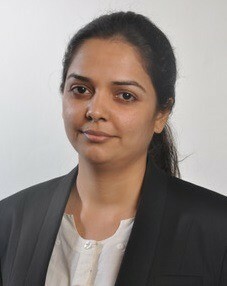 Her practice focuses on matters before the Supreme Court, Bombay High Court as well as tribunals like RERA, National Company Law Tribunal, National Company Law Appellate Tribunal, National Green Tribunal, National Consumer Dispute Redressal Commission amongst others. Being a dispute specialist, her clients particularly find her effective in devising the right litigation strategies on complicated civil and commercial matters. Ms. Mhatre represents a broad spectrum of companies and some of her key clients include Padamjee Pulp & Paper Mills Ltd, Sheth developers Pvt Ltd, Shapoorji Pallonji & Co. Ltd. And Bhavin Agri Infra Pvt. Ltd amongst others. She has previously worked in esteemed law firms like Little & Co. and Kanga & Co.
She is passionate to bring an impactful change in the environment laws in India, for which she has written several articles on this issue. She frequently voices her thoughts through articles on topical issues. LL.M (Business Laws), Bhartiya Vidyapeeth University, Pune. B.S.L, LL.B., University of Mumbai. Advocate, Bar Council of Goa and Maharashtra . Ms. Snehali Karkera is associated with Dhaval Vussonji & Associates since March, 2014 and is now an Associate Partner of the Firm. She is one of the founding members, of the real estate team, handling a team of over 10 lawyers. Prior to joining the Firm she was working with M/s. Dhru & Co., Advocates & Solicitors. Her practice area at the Firm encompasses all kinds of matters and transactions related to real estate including conducting title due diligence of properties situated Pan India. Her practice particularly concentrates on representing builders as well as lenders in complex real estate transactions and advising them on how best to structure the deal, while advising them on the title related aspects of the real estate involved. She has also represented purchasers and sellers in acquisitions and dispositions of various types of residential real estate, commercial real estate, including hotels, office buildings, industrial buildings, retail buildings, amongst others, whether by way of sale, leasing, licensing among others. She has been involved in the strategizing as well as structuring of real estate transactions for our clients. During her career at the Firm, the Firm has successfully completed diligence of township properties where the properties have a minimum requirement of 100 Acres. She has also appeared in matters before the Supreme Court, Bombay High Court and RERA. 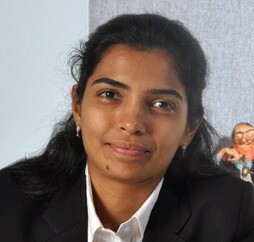 Ms. Malavika Menon is an Associate Partner and currently handles a team of 4 lawyers. She started her career, with Tyabji Dayabhai, a boutique law firm where she gained exposure in civil litigation, aviation finance, real estate, commercial contracts and testamentary matters. She then worked with SNG & Partners where she focused on domestic banking and finance for the real estate sector. Malavika worked with Yes Bank Limited before joining us, in January, 2016. While at Yes Bank, she enjoyed gaining insights into the workings of a greenfield bank, honing her business understanding as a legal counsel. Ms. Menon specializes in advising on domestic financing transactions in the real estate sector with particular focus in Maharashtra and Karnataka. She has been involved in negotiating and concluding various high value debt transactions comprising loans, inter corporate deposits and debentures representing lenders as well as borrowers. She has also worked on consortium lending and apartment fund transactions. She has represented a number of banks and NBFCs on various kinds of financing and security documents in connection with corporate, commercial and retail banking as well as on regulatory issues pertaining to the same. She is relied upon as a trusted advisor, by her clients, for her sound legal advise and business acumen. 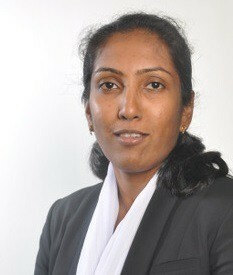 Ms. Menon believes in mentoring her team, attending conferences, networking and publishing articles. She has recently authored articles on various aspects of banking laws.